– Fort Wayne’s Voices of Unity will take off for its first ever European Tour this summer. 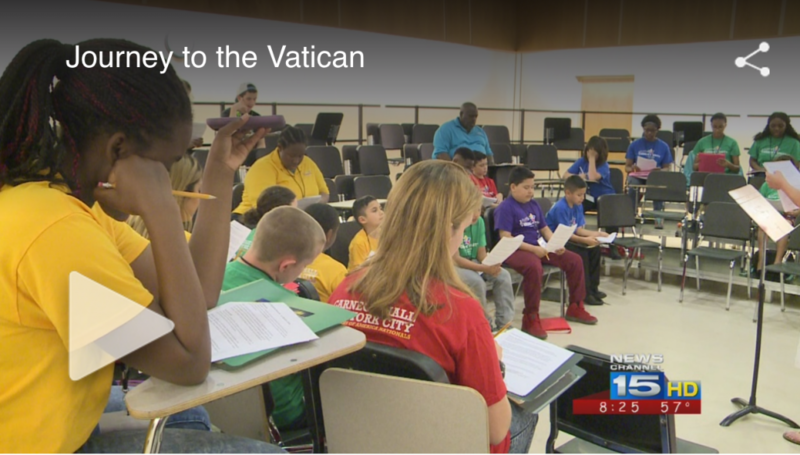 The choir will perform in Rome, Vatican City, Venice, Graz, Austria and Budapest, Hungary in July. For the next several months, Unity will work on funding the trip. Five thousand dollars is the per person cost for anyone going on the tour. But Unity is asking each individual to only pay half of that in hopes of securing corporate gifts and community donations to pay the rest. Choir members are trying to raise their portions through various projects, one of which is the Give 10, Tell 10 Go Fund Me campaign https://www.gofundme.com/unitygive10tell10. The Voices of Unity will leave June 29, 2016 and is planning to take a small delegation of community members. NewsChannel 15 will be part of that delegation. For more information on the tour and fundraising efforts visit the Voices of Unity website: http://upaf.com.